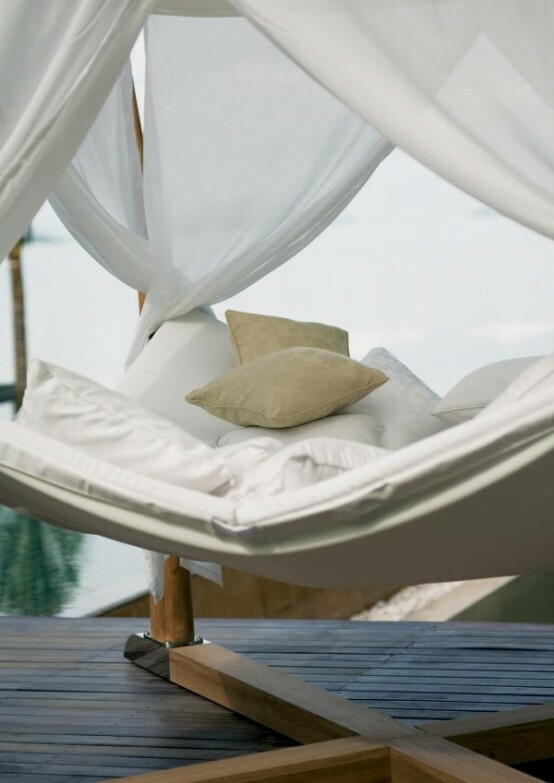 A daybed is a comfy piece of furniture to have a short or long nap during the day, and if you have an outdoor zone, what can be comfier than having a nap there? 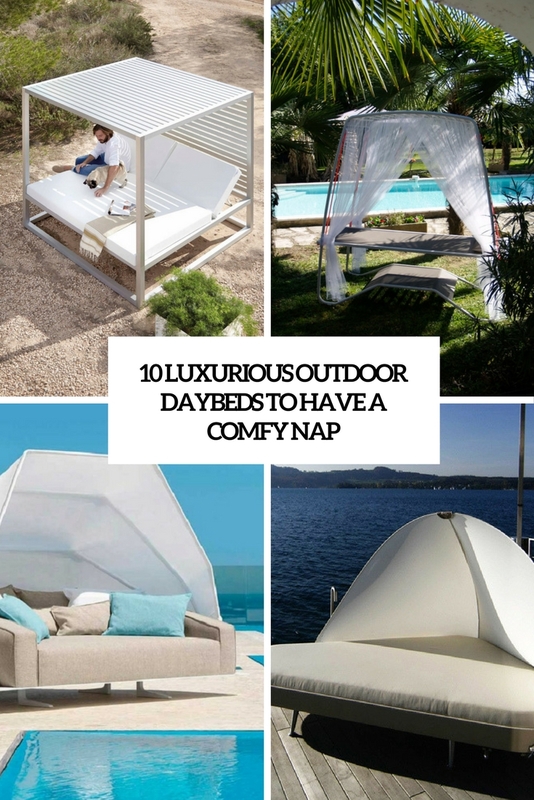 Today we are sharing a whole list of the coolest modern outdoor beds that guarantee you the best sleep possible and maximal comfort. Let’s have a look at them! Royal Botania presents the Kokoon garden bed made of teak wood. Be harmoniously suspended between the earth and the sky, alone or with someone special, within the Kokoon. A set of curtains can be added to make your special space even more of a romantic place to dwell. 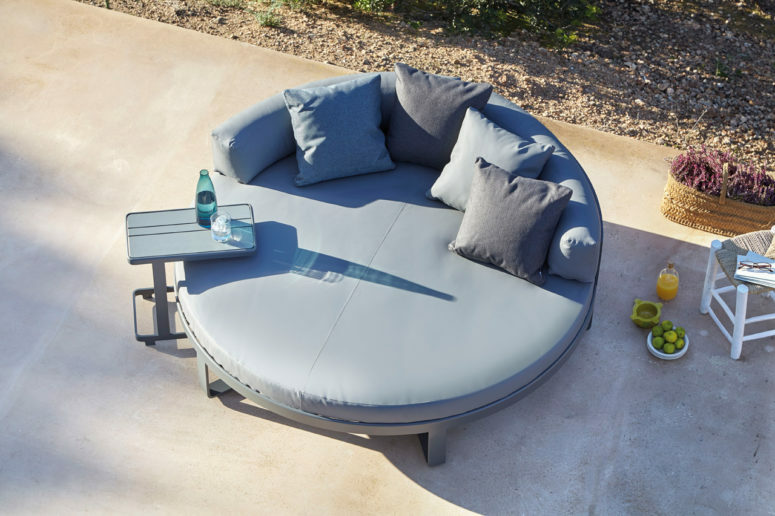 Take a nap in the great outdoors with this Eden daybed from Talenti. Manufactured and tested using the latest techniques with the objective of eliminating each and every possibility of defect. The Eden Daybeds from Talenti have a powder-coated aluminium frame with quick dry foam padding cushions with removable covers. They are easy to wash and weather resistant making them perfect for your patio or pool area. 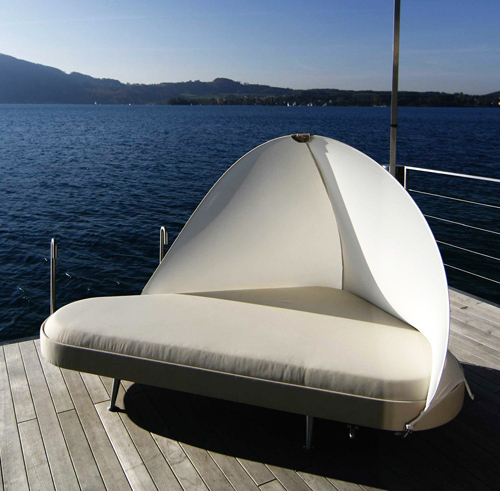 Designer Santiago Sevillano worked with outdoor furniture company Roberti Rattan on this Portofino Daybed that will make you dream of napping outdoors. 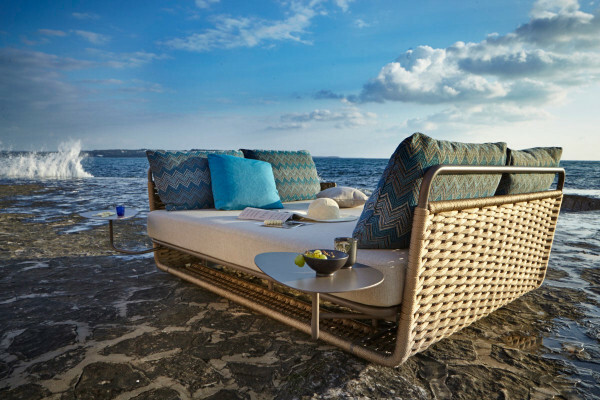 Combining metal and weaving together, the daybed has a cozy, Mediterranean feel that will work on any terrace or patio. 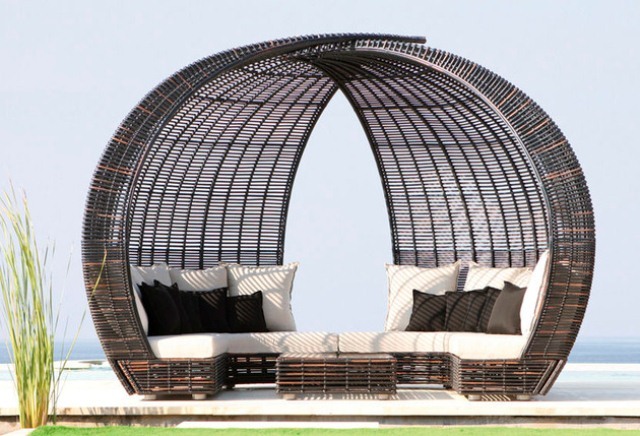 Skyline Design presents a trio of occasional daybeds for outdoors. 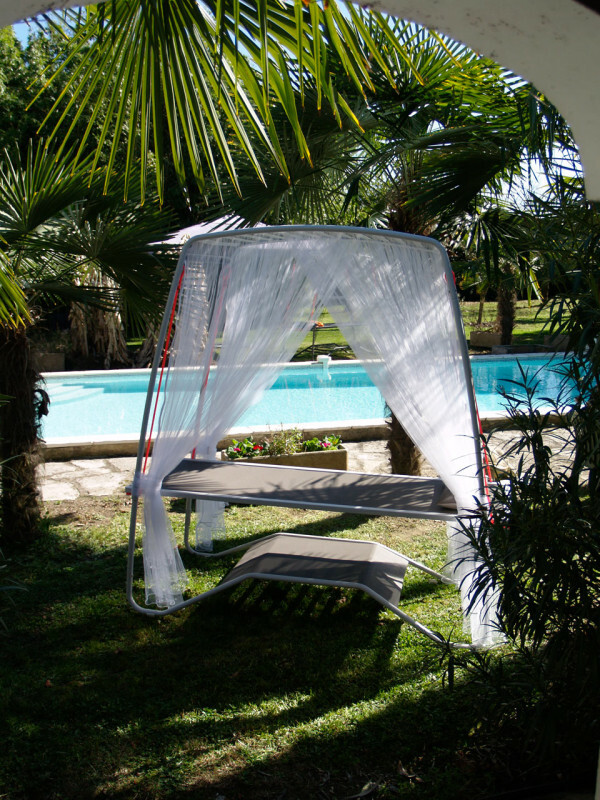 All of them are casual wicker weave combined with contemporary silhouettes – perfect for lazing under the sun not only alone but also with your family. The daybeds are crafted from synthetic woven wicker and cane; they are finished with weather-resistant and washable materials that make for a low-maintenance lounger. French company Belanka wants to make that time outdoors even more awesome with their Transamac collection of suspended beds. The bed lets you rest outdoors with its unique swaying movement that gives you the feeling of weightlessness when you close your eyes. Barcelona-based designer Mario Ruiz designed contemporary outdoor furniture with architectural lines for a collection called Flat for Gandiablasco. While the previously launched, expansive collection includes all kinds of furniture, including hammocks, armchairs, sofas, poufs, rocking chairs, stools, benches, and tables, we’re digging the newly launched daybed for chill days and warm nights outside. 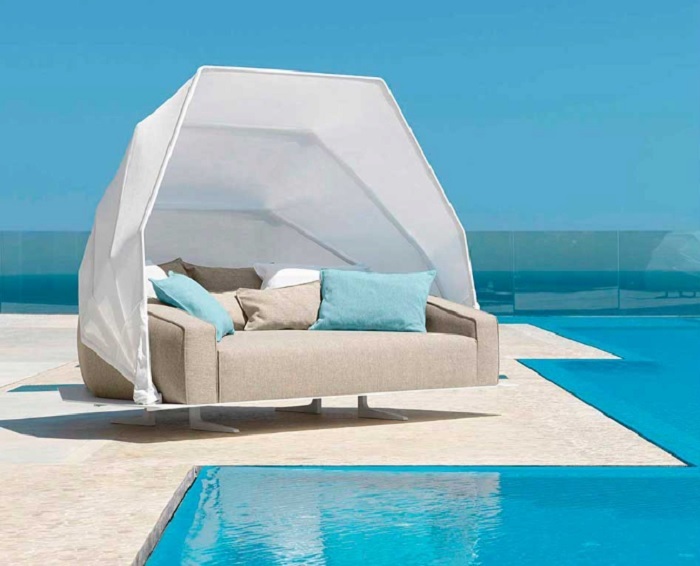 Designed for Gandia Blasco, the Daybed is part of their Outdoor Spaces collection providing the perfect open-air retreat on the patio, at the beach, or by the pool. Its simple architectural silhouette offers a private space for lounging, relaxing, or even socializing while soaking up the sun. Designed by Foersom and Hiort-Lorenzen for Cane-line back in 2010, the Savannah Daybed is a spectacular piece. It has a beautiful design and makes a perfect rest spot. The daybed is comprised of left and right modules which create a spacious island when joined together. It provides ultimate comfort and total relaxation. It is an excellent choice for your terrace, poolside, or garden. It can also be used in large interiors. The polygonal shapes which make up its form result in a furniture piece which references minerals found in nature such as crystallized quartz. Produced by Vondom, the portable Faz pod has wheels making it easy to move and change orientation as needed, employs a hydraulic system, which allows one to open and close it when not in use. The structure features a light top translucent fabric utilizing batyline technology which acts as a sunshade and umbrella. 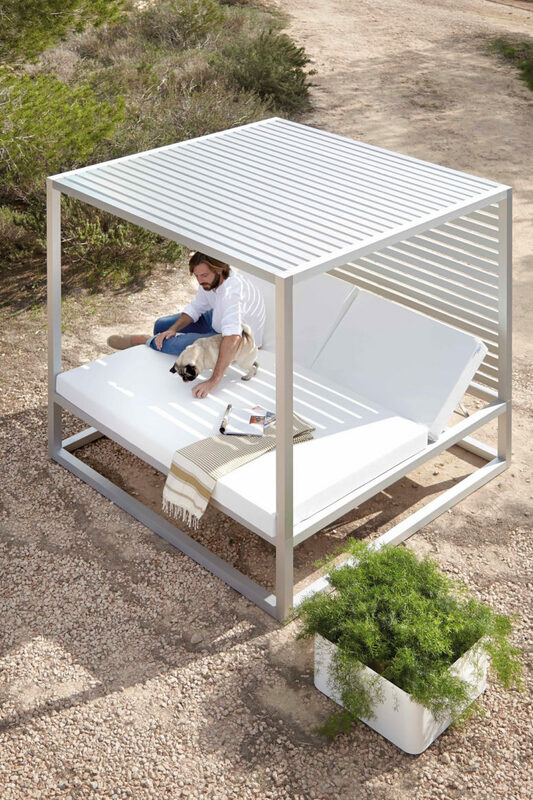 Get ready to make the most of your summer days with the Outdoor Lounge Bed by Usona Home. With a 360 degree adjustable sun shade, you can definitely be out there all day. Plus, it’s upholstered with a water repellent and UV resistant fabric, so it can be out there all day too. The lounge bed is available in three different sizes and six different colors. Its modern design and clean lines makes it very appealing and it is sure to blend in with your contemporary outdoor space.